BPP USA LLC - New Energy Island Technology Is Ready For Deployment! With a BioPro Power Energy Island, every ethanol plant and their corn grower members will be able to grow their own sustainable energy by removing a portion of their corn stover for processing into steam and electricity. This concept allows farmers to capture the agronomic/carbon benefits and put dollars into their pockets. In other words, the dollars remain in the local community, instead of going elsewhere. A major benefit of using a BPP Energy Island is that the dollars spent on natural gas (fossil fuel), that formerly left the community remains because local farmers provide a non-fossil fuel (corn stover) that will enable significant annual $ benefits to the area around the ethanol plant. So, the ethanol plant turns off its (fossil fuel) natural gas because the farmers then supply the (non-fossil fuel) corn stover for generating all of the ethanol plants process steam and electricity requirements for their ethanol production. CORN STOVER (non-fossil fuel) ENERGY - Carbon-neutral fuel production opens new, higher-margin markets; (Example: corn stover generated ethanol can sell to west coast markets - $.10 to .15 more per gallon.) The farmer (corn stover) members are projected to receive benefits having a pay back of their investment of 3-5 years. COMMUNITY DEVELOPMENT BENEFITS - We project that a 120 MGY ethanol facility using the BPP Energy Island concept will generate an estimated $26+ million into the local community yearly. Our business development team continues to make progress in China. A brief explanation of our technology and copies of our patents are both at the bottom of this page. Please inquire to learn more about this effort or to express your interest as an investor. BioPro Power has developed a proprietary recipe which allows the combustion of corn stover with its high alkali content. These process modifications address boiler tube slagging problems which previously required multiple shutdowns per year to clean the boiler tubes. These shutdowns greatly reduce the efficiency and profitability of any plant that uses corn stover for fuel. 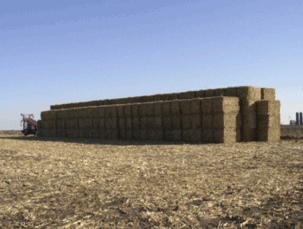 This concept allows the use of the largest volume of biomass in the Midwest, notably corn stover. These BEI’s essentially allow ethanol plants to turn off their natural gas and consume locally-produced biomass. 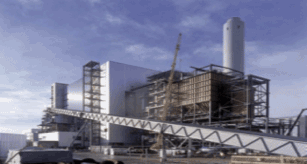 the process steam delivery and electrical generating system. The key to the BEI is higher pressure and temperature steam than the ethanol plant normally requires. This steam is sent through an extraction/condensing steam turbine, which extracts process steam at the ethanol plant's required temperature and pressure while also generating electricity for the ethanol plant's operation. It should be noted that BPP owns the proprietary stover combustion recipe (and patents). An EPC wrap guarantee for project will be offered. 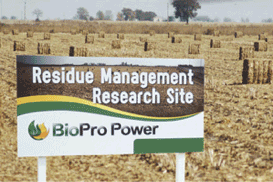 “BEI” FARMER BENEFITS: Residue Management Services (stover removal) is documented to increase yields following the harvest of excess stover due to several agronomic factors. 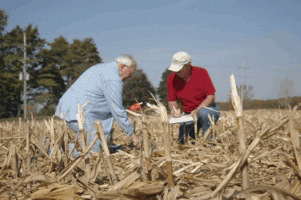 Higher yields, faster farming, reduced tillage costs and lower fertilizer requirements are examples of direct savings to the farmers who provide the stover. Because the ethanol plant utilizes corn stover (a renewable fuel) to provide their process steam and electricity needs, the facility will be producing organic ethanol, enabling the ethanol plant to sell into the West coast market and capture the RINs. This will result in a much larger profit distribution to the equity owners of the plant. In addition, the financial benefits to community are likely to include tax exempt bonds for financing the project. BPP’s BREAKTHROUGH TECHNOLOGY: Biomass Products, LLC dba BioPro Power (BPP) is a renewable fuels-to-energy industry innovator. 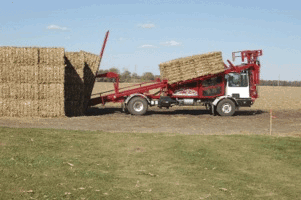 Technology developed by BPP over 17 years of research and testing has resulted in efficient and sustainable processes for the collection of agricultural biomass materials, the preparation, and the combustion of that biomass. 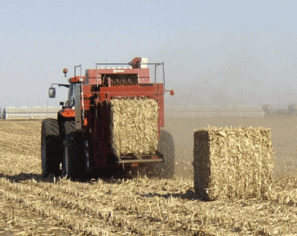 In particular, corn stover (biomass left in field after corn grain harvest) is an attractive biomass fuel to use to produce steam and electricity from conventional power boilers. BPP has conducted extensive research on the collection, baling, and logistics equipment. Additional work has been completed to design and manage feedstock preparation to ensure corn stover (fuel) is provided in the quantity, particle size, and heat content per ton that is critical to efficient boiler operations. BPP’s team has expertise with other biomass fuels as well. See BPP’s Team Roster on website. BioPro Power owns Intellectual Property rights related to corn-stover fueled steam and power generation, including Know-How, Trade Secrets and patented technologies and processes related to harvesting, baling, storage, management and transportation of corn stover bales through the receiving and preparation for combustion, and, ultimately, combustion for steam and power generation. BPP owns patent rights in both the United States and in China, including both issued patents and pending patent applications. On September 16, 2015, the Chinese Patent Office granted BPP's patent in China (China Patent No. CN 105003920 A), which corresponds to BPP's US Patent No. 8,712,787 which was granted in April 2014. Abstract purpose statement, on first page of US Patent No. 8,712,787 owned by Biomass Products, LLC, is: (1) Systems and methods for managing excess above-ground corn residue; and, (2) Methods and systems for harvesting and pre-processing corn residue prior to combustion of the corn residue; and, (3) Systems and methods for combusting corn residue to produce heat for generating steam.